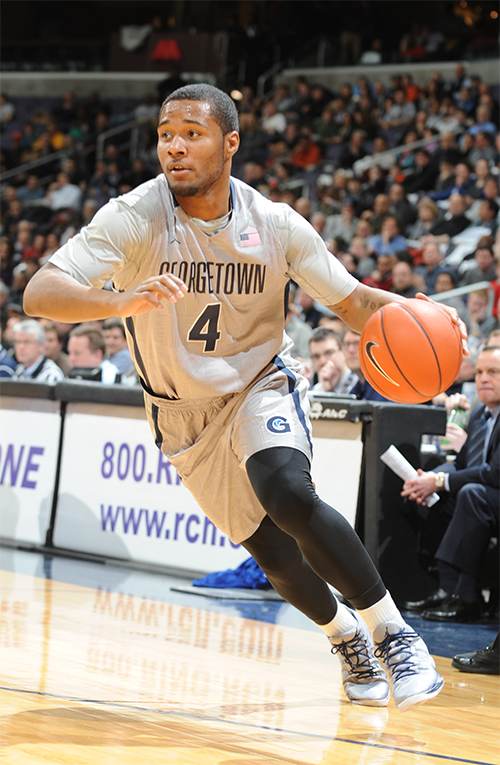 Back in March, Georgetown fans could not have felt good when they opened the papers and saw that their point guard and leading scorer, D’Vauntes Smith-Rivera, had declared for the NBA Draft. Those feelings changed a few days later when, after reflection, Smith-Rivera decided to return to the Hoyas for his senior season. A Big-East all-rookie selection as a freshman, a second-team all-league pick as a sophomore, and first-team all-Big East choice as a junior, Smith-Rivera will enter his senior season having started 64 of the last 66 games played by the Hoyas. As a junior, he tallied 16.3 points per game while handing out 101 assists – both tops at Georgetown, as were his 51 steals – as he helped lead the Hoyas to a 22-11 mark and the third round of the NCAA Tournament. The stability and leadership he provides can go a long way toward making this a special season on the Hilltop.